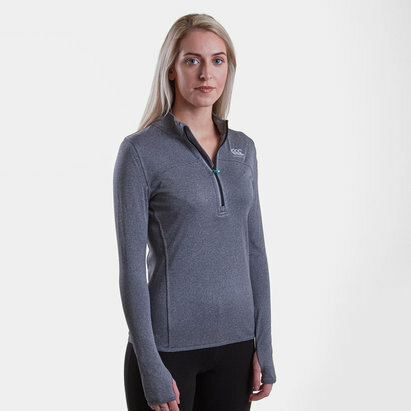 Push through from the first mile to the last when you're wearing this Vapodri Ladies Poly 1/4 Zip Top in Mint Marl from Canterbury. This sweat from rugby specialists, Canterbury, is made from 100% polyester and features a 1/4 zip for a more comfortable fit. Featuring Canterbury's Vapodri technology, this top is quick drying, breathable and with all Vapodri clothing, moisture is wicked away from the skin keeping you dry and comfortable.